On Thursday, February 6 of 2013, administrators at Newington Elementary School were alerted by a teacher that a gun had been found in child's backpack. 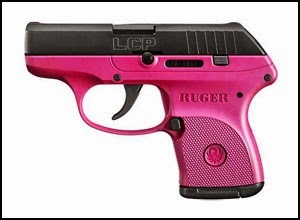 To the kid's credit, however, it was she who called her teacher over to point out the pink and black Ruger .380 resting inside her crayon bag. 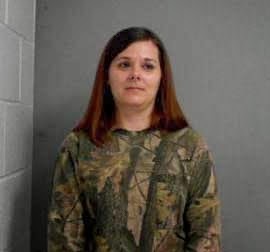 The initial reports on this incident stated that the child's mother, 34-year-old Heather Seaderbaum, was arrested and charged with carrying a weapon on school property and unlawful conduct towards a child...which at first seems a bit harsh. Obviously, the kid knew she wasn't supposed to have a gun at school. Maybe it had somehow accidentally ended up with her stuff before she left from home. "But mom, I saw it on the PSA!" As more reports came in, however, Heather's culpability in the incident became depressingly clear. According to an anonymous source who spoke with Live 5 news, Heather (who worked as a parent volunteer at the school) had previously displayed the weapon inside her purse while bragging to other parent volunteers about having a firearm on school grounds. When one of them pointed out that having a gun at school wasn't a good idea, Heather indicated that it was totally cool since she had a concealed carry permit. 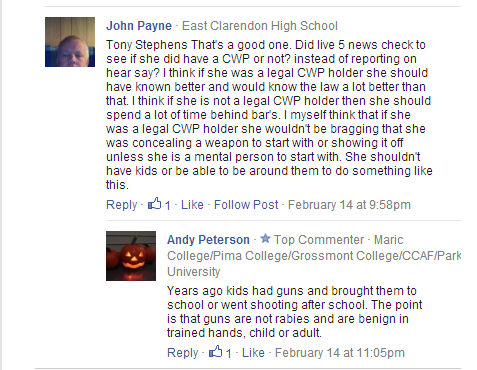 As word spread about Heather packing heat, one of the volunteers notified the school's principal. Heather inevitably found out about this act of betrayal (because front office gossip tends to travel quickly) and confronted the parent. After getting flustered and walking away, Heather then decided that it was time to make things right...by completely throwing her kid under the bus. She promptly went to her child's classroom and innocently asked the teacher if she could put a book inside her child's bag. Later that day, a very confused (and admirably responsible) second grader found the weapon inside of her crayon box. As stated before, she immediately alerted the teacher. When the teacher then asked what her mom had placed inside her backpack, the girl dutifully replied "Her gun." The mother claimed that she didn't know how the gun magically got itself into her child's backpack, but the police weren't buying it. As sad and stupid as this whole thing is, the comments sections on various news sites reporting the incident are where the real gems can be found. If you ever wondered how functioning adults can still be incredibly dense, look no further than my personal favorite reply (to a fairly reasonable statement), posted by Andy Peterson. Never trust the judgement of man with a Halloween pumpkin profile pic in February. Heather's young child, meanwhile, was commended by the school's principal for being able to make much better life choices than her mother. Heather was also released Friday on $2,500 bond. I called her for an interview (and to make sure she didn't have any more children to use as patsies), but was denied. Her Facebook profile seems to be deleted and her Twitter account is inactive, but she does have a meetme account for any of you brave enough to go down that social media rabbit hole. I, however, will probably not be getting any answers for the time being. Since she lives pretty close to me though, there's always the chance that we could run into each other. To get updates on when new articles or podcasts are published (and occasional random musings) 'Like' the official RamblingBeachCat.com Facebook page. 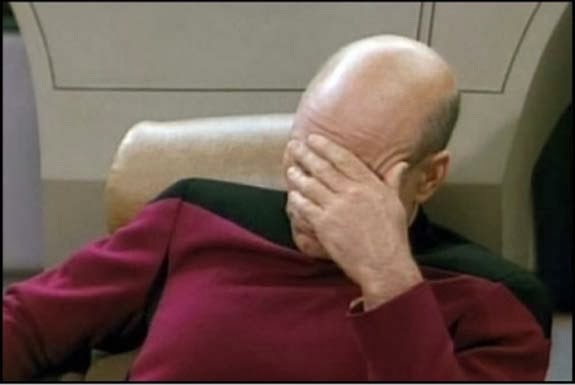 Every time someone does, a mom decides not to try and let her kid take the blame for packing heat at school.